George’s daughter, Ginny, spent her final semester of high school on a woodworking Work Study in George’s shop. George and Ginny take this opportunity to talk about what Ginny learned in this program, and what kind of woodworking skills she gained. Ginny talks about her favorite aspects of working in the shop, including learning how to make an electric guitar. The overriding theme here is the importance of involving young people in woodworking. Not only is it rewarding for them as they gain new skills, it’s also rewarding for you as you help them grow. Ginny provides her perspective on what’s important in keeping a young person interested, and George talks about the goals he had with teaching Ginny about working in the shop. 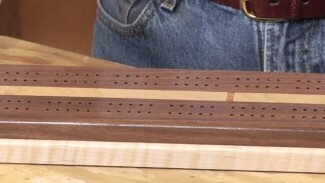 According to Ginny one of the best ways to keep a young person engaged is through the choice of woodworking projects they work on. You may have your own agenda, but be sure to pay attention to what interests your helper if you want to keep them coming. 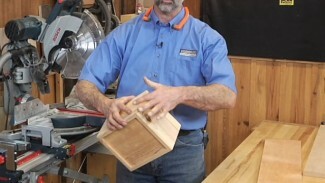 WoodWorkers Guild of America offers a lot of educational videos, and we hope you can use our information to help the woodworkers in your life grow.